Menstruation can’t be a determinant for entry as it’s nothing but a physiological phenomenon in women. 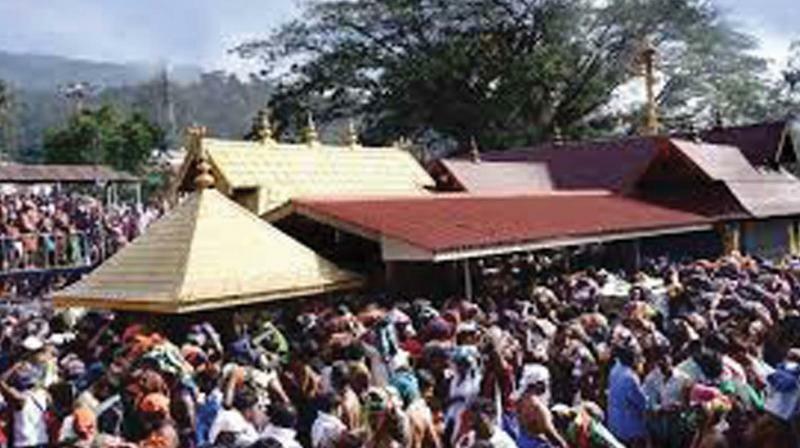 Having reserved its orders on the Sabarimala temple entry verdict review pleas, the Supreme Court faces one of its trickiest tests. Ruling only on the basic principles of natural justice, it might appear simple enough to uphold its earlier order permitting women of all ages to enter the shrine and worship Lord Ayyappa. Gender equality directs that the same right to worship be bestowed on them as men. Menstruation can’t be a determinant for entry as it’s nothing but a physiological phenomenon in women. Given that in history such a ban didn’t really exist further strengthens the case for universal entry as women of reproductive age were allowed entry right till the 1990s on special occasions in the lord’s jungle abode. It’s not as if the ban is centuries old and reassessing what has been absolute for less than three decades cannot be akin to challenging an ancient custom. The biggest difficulty after the historic September 2018 ruling permitting entry to women of all ages is the considerable social and political turmoil it has caused. Society was split as under by the verdict, that again isn’t new as the State, legislature and judiciary have never been above ruling on religious matters. The split is so wide that the temple board, which was firmly against the entry of women of all ages, changed its tune in an abrupt U-turn, about which even its chairman was unaware. The government was also caught fudging figures about the entry of women, that suddenly came down from 50-plus to just two. Should the court stick to the letter of the law on equality or reconsider getting involved in religious matters — is the real question that awaits a much-awaited answer.